The rapper's son reaches this milestone 17 years after Biggie's death. camera (Chris Walter/Getty Images) Notorious B.I.G. is pictured in 1995 in Los Angeles. It feels like just yesterday that Biggie Smalls and Tupac were fueling the East Coast/West Coast rivalry that ultimately resulted in the rappers' untimely deaths. But that couldn't be further from the case. 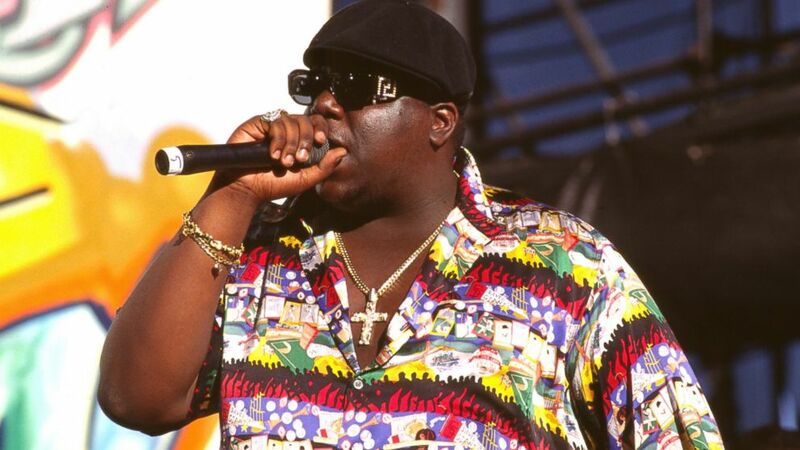 In fact, Christopher Wallace, known as Notorious B.I.G, died in 1997, just about a year after his son was born. Just last week, Christopher Wallace Jr. achieved an amazing milestone, when he graduated from high school. Biggie's widow and proud mom Faith Evans posted pictures on May 29 of the big day. "My first born son @cj_toa & I #proud," she wrote next to a Class of 2014 piC with her son. Biggie would have been proud, too! Evans posted other photos of the 17-year-old, walking in his green cap and gown. Here's another of Wallace Jr. accepting his diploma.